The far-flung archipelago of the Maldives might just be the dreamiest place on the planet. 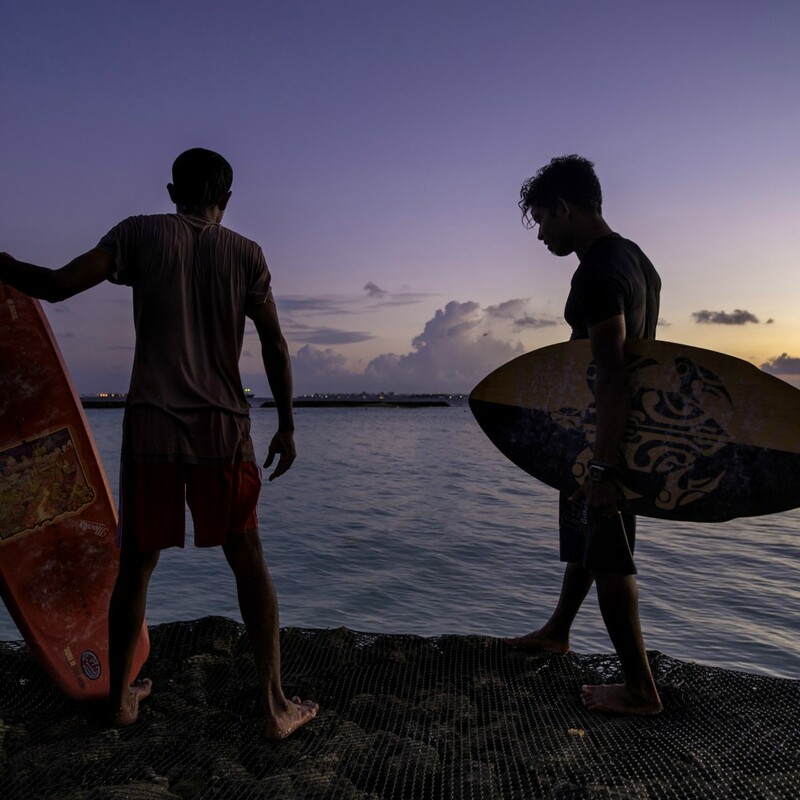 Spectacular beaches and coral reefs make it paradise for beach bums, although in the capital city of Male, there’s more to do than just laze in the sun (of course, you’re going to want to do that, too). Here are a few “musts” to add to your list of things do in Malé. Situated on the northern waterfront, this local market is divided into tiny stalls, all packed with fruits and vegetables, and much of it locally grown — yes, the Maldives can do agriculture. A visit is sensory overload in the best way, full of colours, smells, and tasting opportunities. With an unobstructed view of the horizon across the ocean, the Maldives offers perfect conditions for breathtaking sunsets. When the sky lights up with vibrant colours, you just know you’re in a special place. Top locations to sit back and watch the sun go down include West Park Café and the Salt Café. While most people know the Maldives for its picture-perfect, white sandy beaches, these unfortunately do not stretch to Malé city. So for the people of Malé, an artificial beach was constructed. On Fridays and Saturdays, and in late afternoons on weekdays, it’s a popular destination for locals to enjoy an evening walk or swim, or to just relax with a coffee and chat with friends and family as they watch the world go by. Take an early evening walk (or hop in a taxi) to reach the south side of Malé, where you can discover the gaadiya local street food sellers. They are famous for selling majaa, a local food tray of mango, coconut, dried fish, pepper seed, garlic, and salt. Eaten together, it is an amazingly flavourful snack that will leave you wanting more. The Maldives is 99% water and there is a whole underwater world to discover — and once you have gone under the sea here, you’ll be spoiled for life. The water is azure and warm, and the varieties of dive spots are stunning. You can enjoy drift dives in channels, as well as discover wrecks, caves, overhangs, and exceptionally beautiful reefs. Renowned for the abundance of big aquatic animals such as whale sharks and manta rays, together with the diversity of coral, sharks, and fish of all sizes, the Maldives sets itself apart from other dive locations around the world. Headed to the Maldives? Let us show you around the city of Malé like a local!